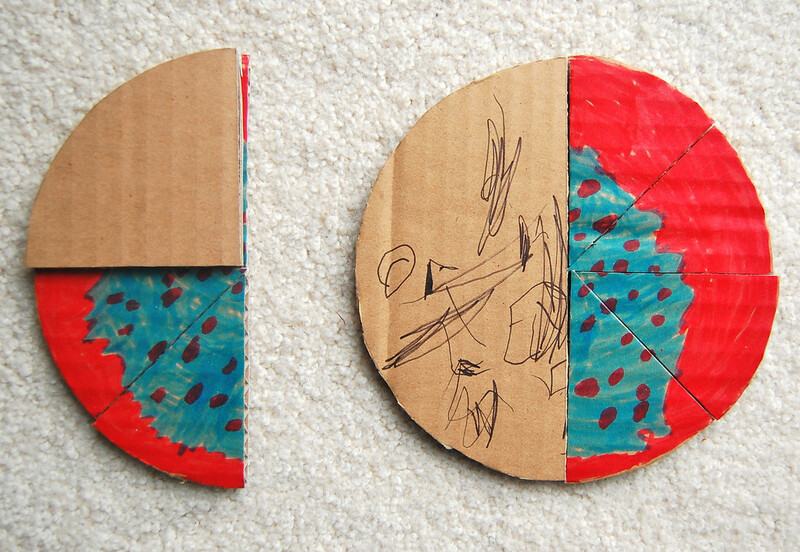 and anyway, here is a cardboard puzzle we made today. 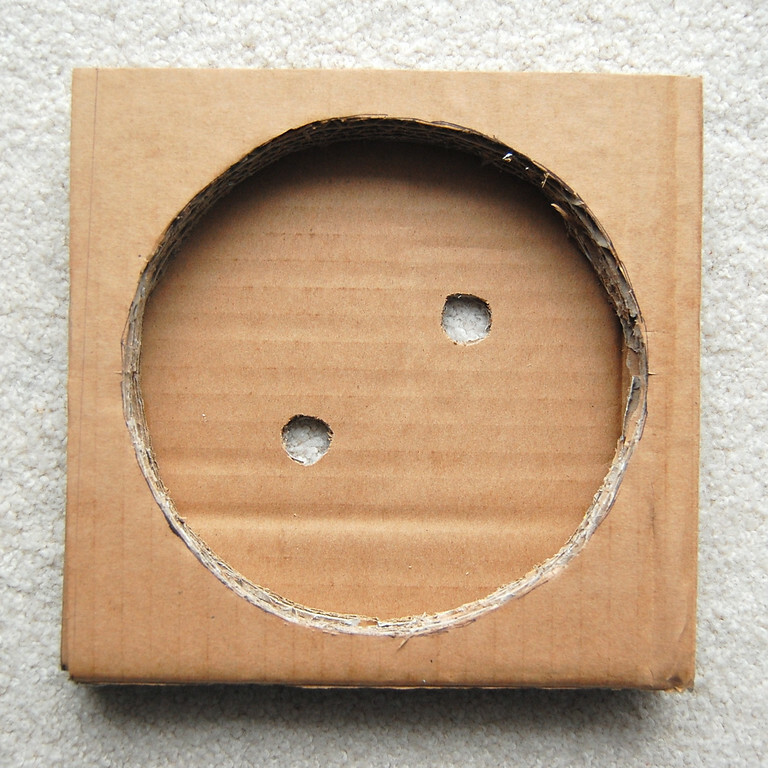 the diameter - somewhere around 6.5". 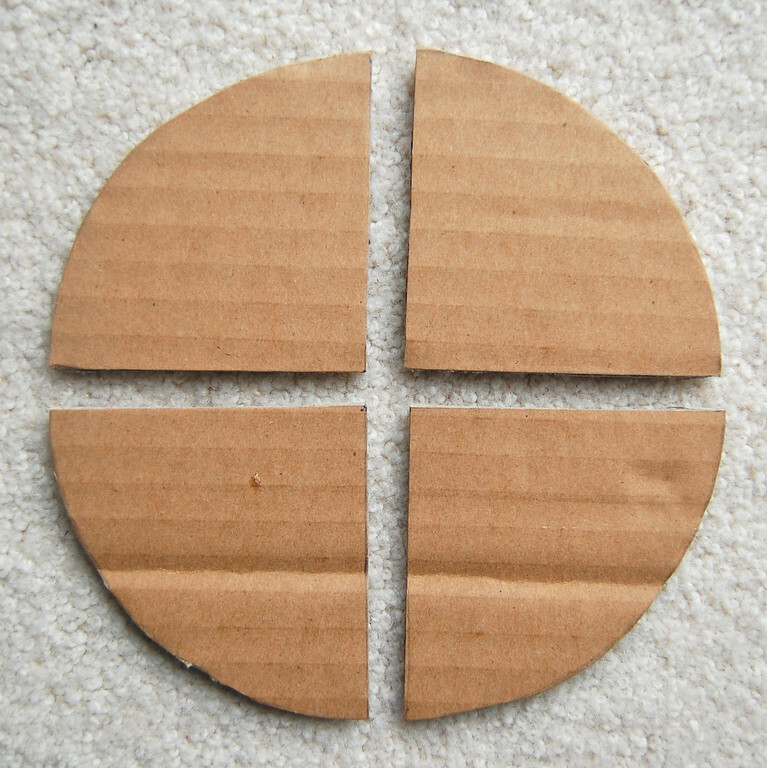 Meanwhile, I glued the five squares together in a stack. 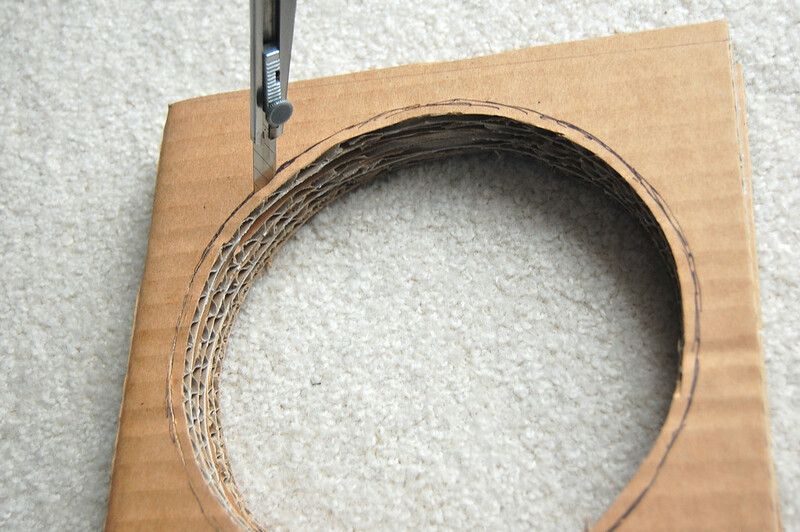 circles would fit inside more easily later. two sixths = one third etc. 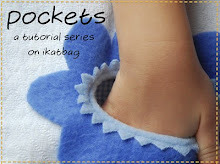 the finger holes) another day. Wow. Creative and smart. I wish I had your math skills, mine are not so good. I will have to keep this in mind for when my kids hit grade school. Lovely! 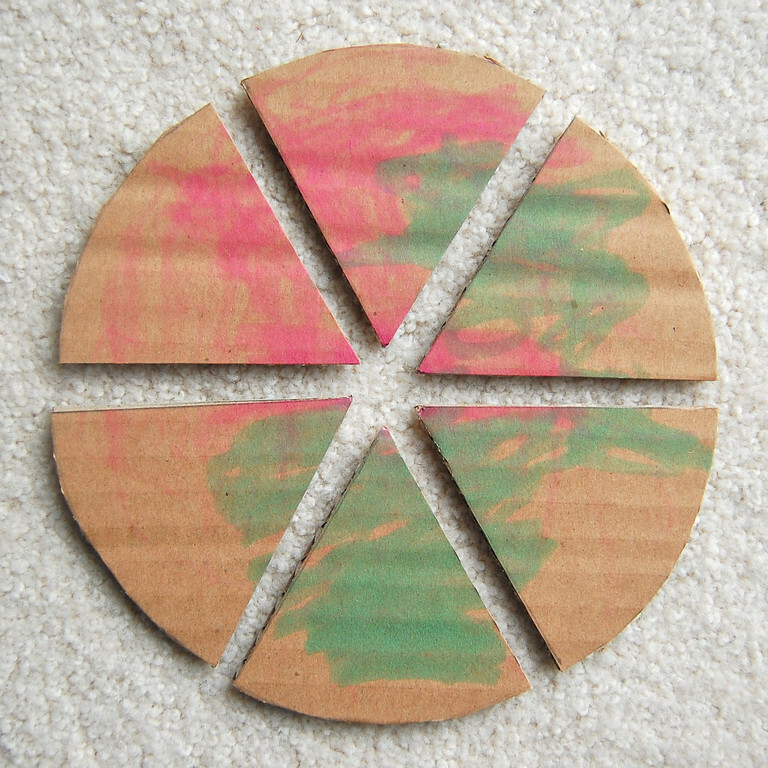 I've been waiting to do this with the cardboard pizza from ages ago, but I really like your idea of having them all fit in the cut out circles for storage! KM: I will wear the toilet paper sash with pride. Very beauty-peagant-esque. But I leave the cardboard tiara with you, for you are more worthy. As a math teacher this warms my heart! : ) I love it! So creative! One third fantastic, one third fun and one third genius! This is an awesome project! 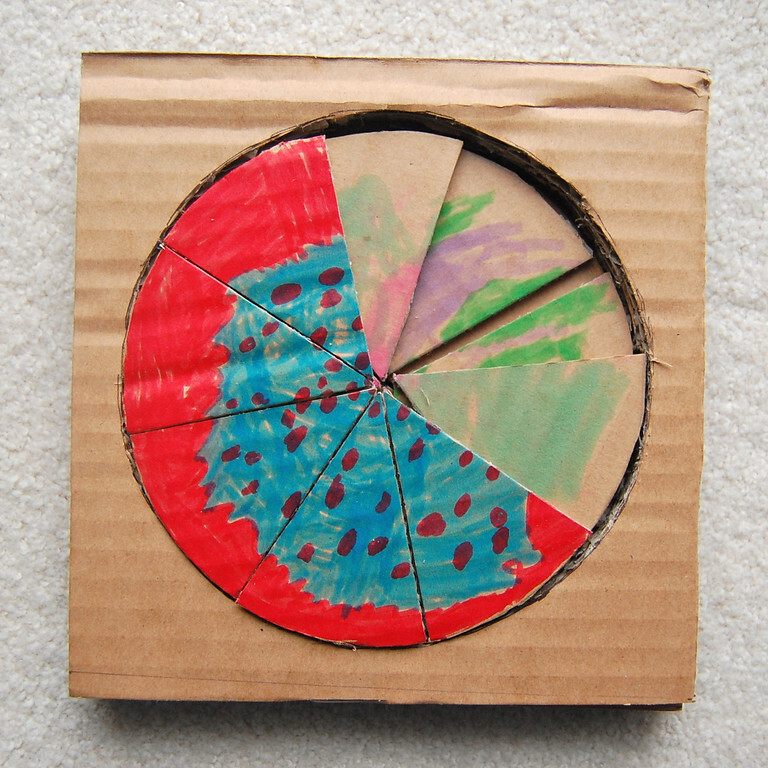 I was just looking at a Learning Resources fraction pizza in the store the other day (with no intention of spending $18 on it). It only came with three denominators, though: 2, 4 and 8. 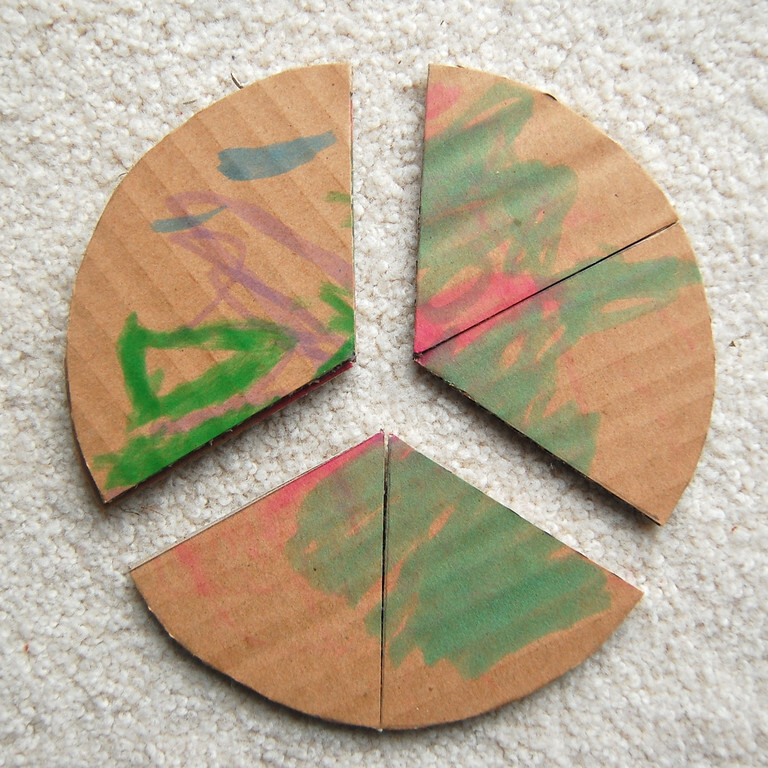 I think we'll be making one of your fraction pizzas around here very soon. I love this, my kids would too. Must get busy! 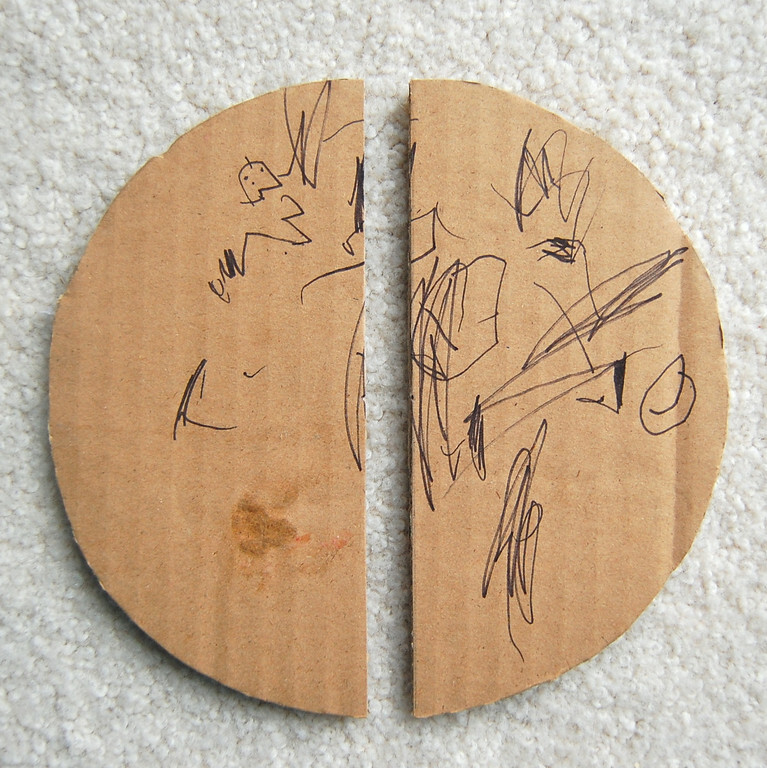 very good idea, my kid is just starting fractions, so this will help a lot. what, no fifths? :) great project, BTW. I love this idea. 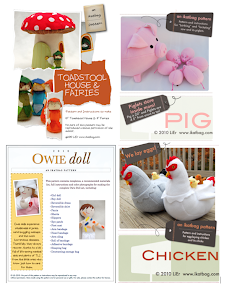 I'll be making these with the kids in my resource class. 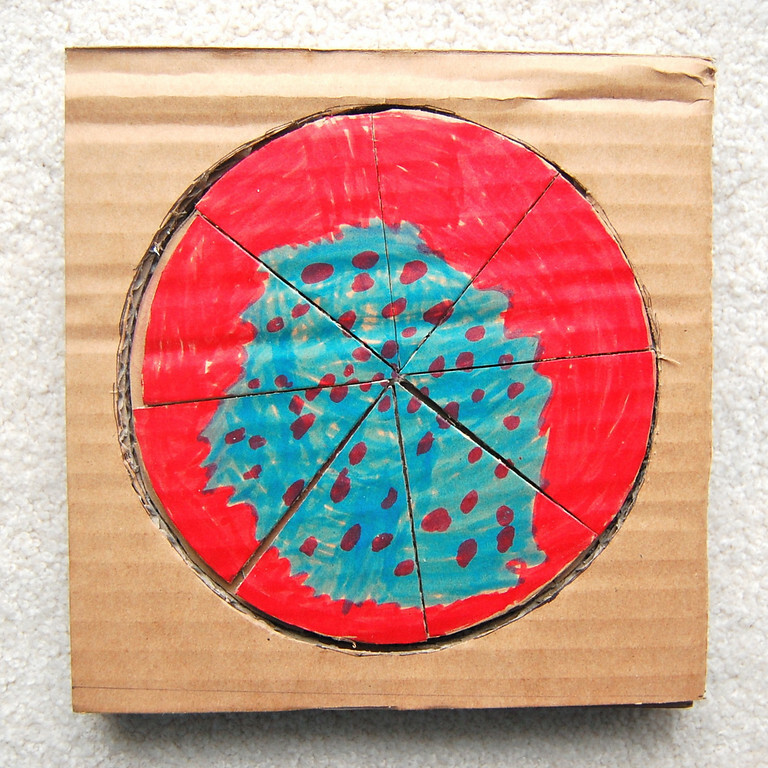 I have a premade pizza resource, but the learning is greater when the kids make their own! I knew there was a reason I was stockpiling Ikea boxes in the garage! 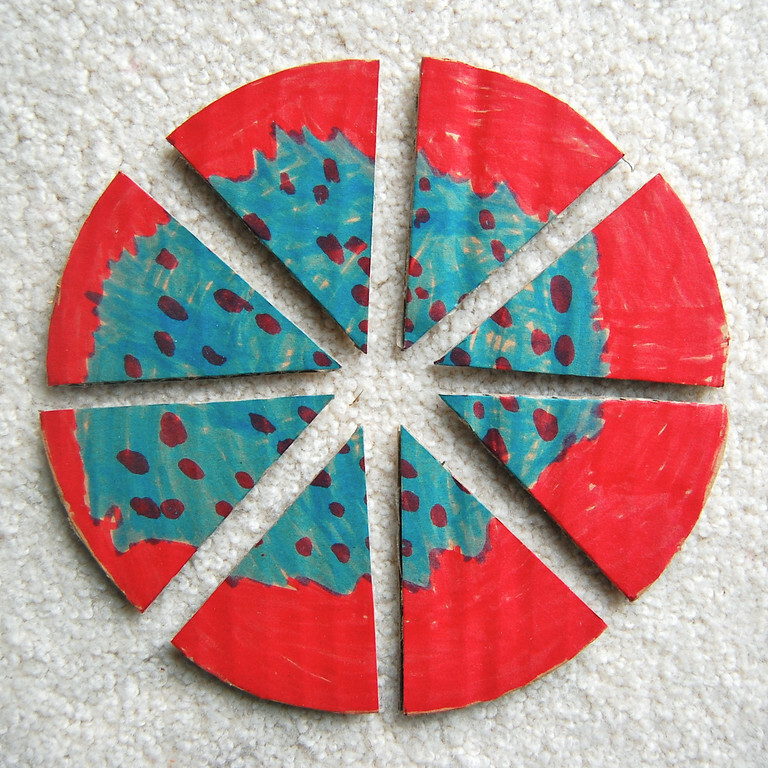 My son will love this - pizza and maths! Two of his favourites. And there is an award for you on my blog. I'm sure you must have dozens of them but that's the price you pay for being Kreativ. 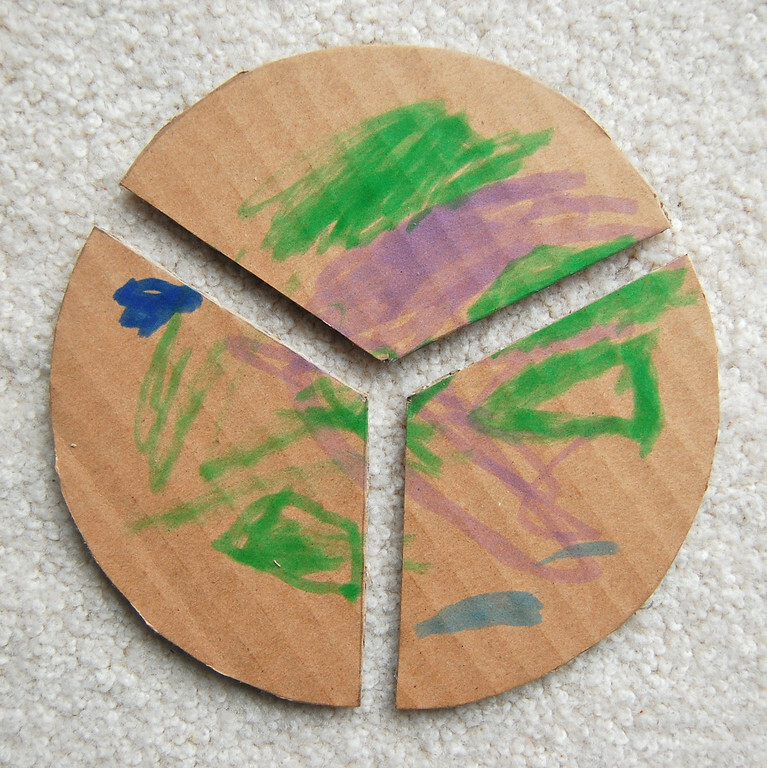 I love this math, art, and recycling activity for little hands. Thanks for sharing! Ah, good. 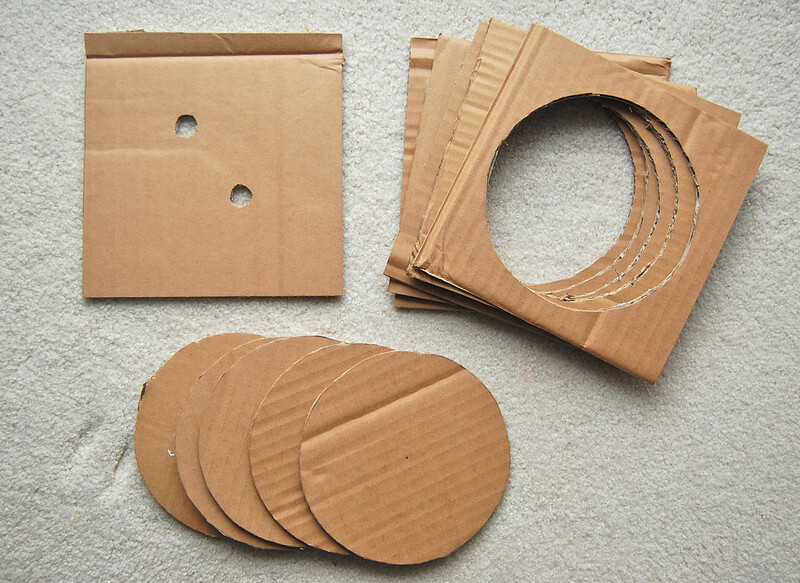 I'll send P over for you demonstrate Venn Diagrams and how to calculate the probability of a single event...in cardboard. I LOVE this idea and will be sharing it with my friends that teach upper grades! My littles in first grade will LOVE it as well! Thank you! Great! Just made one for my children.